3COIL Design is a “London based fashion and product design studio”, who have started a Kickstarter campaign for a couple of EDC tools, the Puna and Crane Knife. 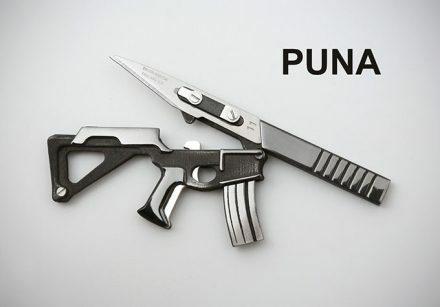 The Puna features a design overtly reminiscent of a modern day AR-15-like rifle. 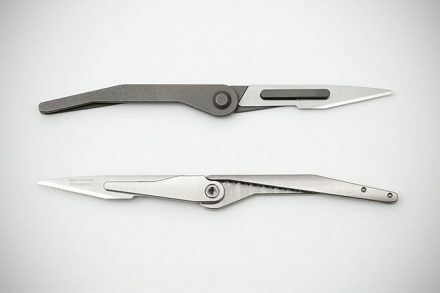 The upper receiver portion removes from the lower receiver, functioning as a tool knife with a scalpel blade. 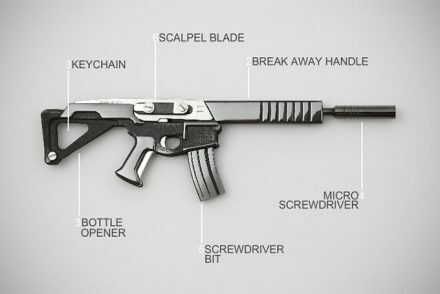 The blade is easily replaceable using the included ‘suppressor’ micro screwdriver, while two interchangeable magazines function as a Flathead and Phillips head screwdriver, respectively. 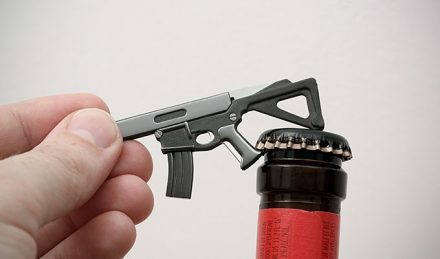 As a happy accident, the Puna also fuctions as a proper bottle opener. 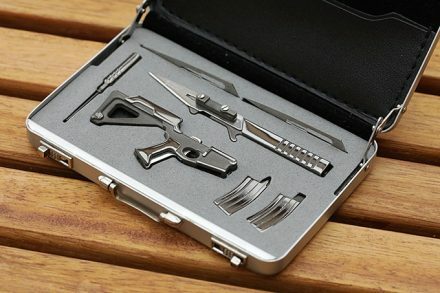 The Puna comes in a slick aluminum case, roughly the size of a business card, laid out with all the separate components, including spare blades. As a bonus, the top lid is pocketed, and can be used to store business cards, and other like-sized items. The Crane, a bit more pedestrian when compared to the showy Puna, is, as claimed by 3COIL, the smallest folding scalpel blade in the world. Made of stainless steel with a silver color, it features a non-locking, spring-loaded mechaism, an open length of 3.7″, and utilizes a No.11 Scalpel blade. The Crane is normally made only in extremely limited numbers by 3COIL, and this is the first time they’re doing a full production run.